Every year, winter brings us plenty of cute accessories, beautiful snow falls, and cozy nights spent inside. Along with those snowy days and Netflix nights come freezing temperatures and bone-chilling winds. So, it's crucially important to give extra care to your skin that has become exposed to these elements. With spring (hopefully) just around the corner, there is no better time to get your skin in top top shape! Check out our guide on how to keep your skin glowing all season long! Avoid soap-based cleansers as they rid the skin of its natural oils. These natural oils are super important in protecting and hydrating your skin, especially during the dry months. Instead, begin the day by using an oil-based cleanser. 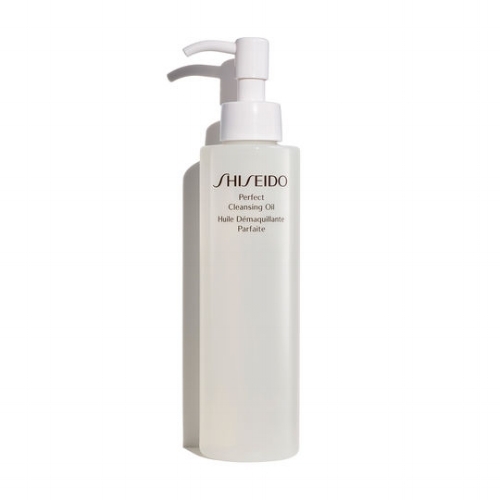 Cleansers that are oil-based remove dirt and impurities without over-drying the skin. Pat the face dry and apply a light moisturizer with SPF to face and lips. Reapply every 2-3 hours. Foundation and concealer should be water-based and contain a broad spectrum SPF. Water-based foundations will keep skin looking and feeling hydrated. It's best to avoid powder as much as possible if you tend to have a dry complexion. Look for cream or stick blushes to add a pop of color and make those cheekbones really stand out! When you come home, it's time for a little self-love. Remove all your makeup and impurities left over from the day. Be sure to make yourself as comfortable as possible, perhaps putting on one of your favorite throwback films, pour some tea (or wine), and put on that sheet mask you've been dying to try. After cleansing and moisturize with something rich and nourishing, be sure to give extra love to places like the décolletage, lips, and under eyes. For severely dry skin, try an overnight hydrating mask for wherever your problem spot is. TIP: Overnight masks are to be used in place of a moisturizer.